Just what you've been waiting for - coloured kraft-tex! 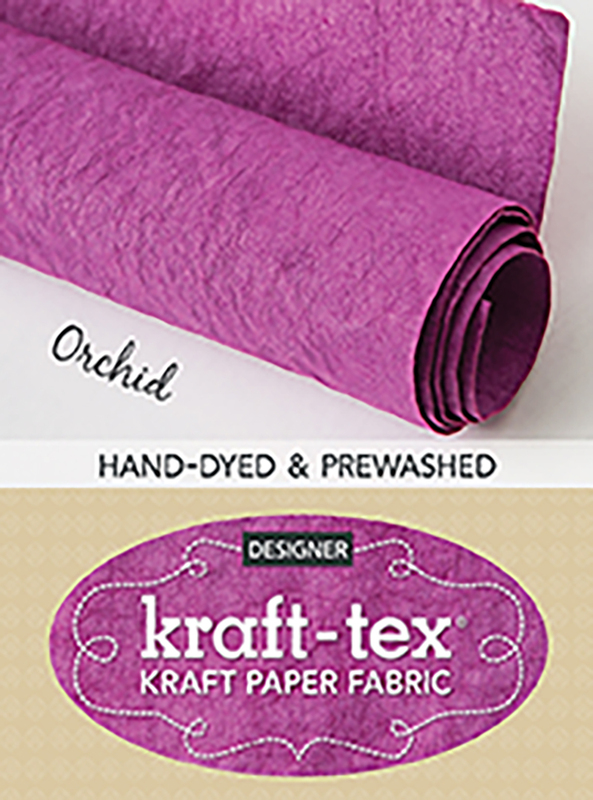 Wait until you get your hands on this vibrant 'radiant orchid' paper that looks, feels and wears like leather, but sews, cuts and washes just like fabric. Kraft-tex® is supple, yet strong enough to use for projects that get tough wear. Use it to bring an exciting new texture to your craft-sewing projects, mixed media arts and bookmaking. Now in brand-new, on-trend colours (no need to dye it yourself! ), these colourful rolls of kraft-tex® may only be available for a limited time, so snap them up while the colours are in season.